Huge Zebra 2 Presets is our first sound bank for U-he’s Zebra 2 synth, it’s designed for the current EDM scene but caters for nearly all genres of dance music. Delivering punchy, clearly detailed sounds with extreme presence these presets will transform your Zebra 2 synth into a sonic fuelled monster. The bank contains a multitude of styles including Leads, Plucks, Chords, Pads, Poly, Bass & Sequences. Every preset was designed from the ground up and balances both drive and clarity to create anincredible sound palette. 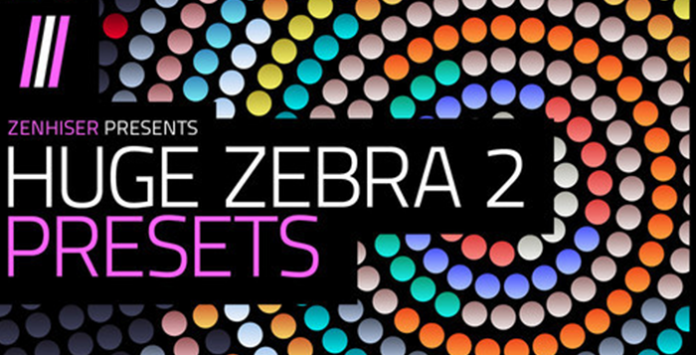 We are very proud of this preset collection, it’s true to the sound of Zebra 2 but gives a new sonic platform and extra life into a powerful synth. These 100 presets are perfect for all styles including House, EDM, Progressive House, Trance, Techno,Electro House, Dubstep and more.